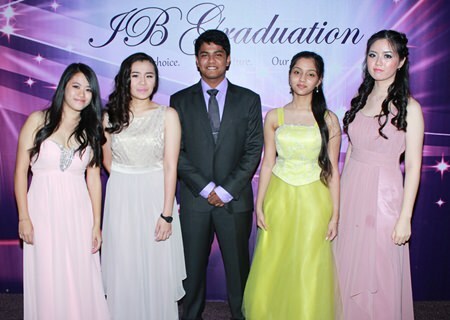 Students from Garden International School (GIS) celebrated the end of their IB examinations with a spectacular graduation evening. 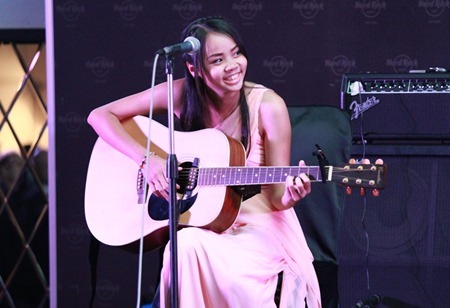 The students headed for the Hard Rock Hotel in Pattaya on May 30 to mark the end of their studies – and the end of their time at GIS. They have just finished examinations for the International Baccalaureate (IB) Diploma Programme, the world’s leading pre-university course. More than 100 students, parents and teachers filled the Hard Rock. 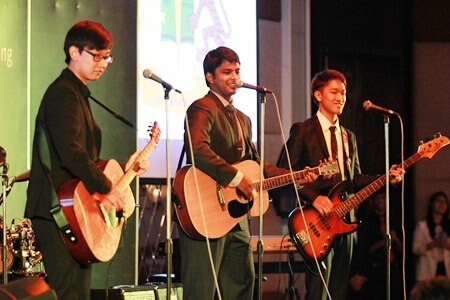 After enjoying a buffet dinner, there were performances from students and speeches. 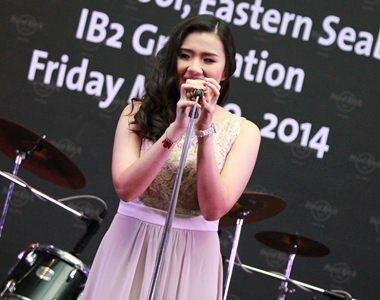 Student Nan performs with her friends at the graduation evening. The evening began with a speech by IB Co-ordinator Mr Fraser, who said this year’s IB group was the largest ever in GIS’s history. He praised them for their hard work, sense of fun and dedication. After a speech by Form Tutors Mr Gordon and Ms Tincombe, there was a buffet dinner. This was followed by several performances. Sofia and Robert sang “Everything Has Changed”; Sofia and rap star Louis sang “Love the Way You Lie”; then Lisa, Nan and Sofia performed “Mirrors”. ‘R Cubed’ perform a special song for their graduation evening. GIS dancing legend Yogesh then took to the stage, and Rain, Rohit and Robert sang an “Ode to Ms Morris”, before the trio, joined by Gorn and Sarah, ended the performances with “Without You”. All 17 graduating students were given a special GIS teddy bear to mark the occasion – along with their own IB badge. IB results are out in early July. Students will then be heading off to universities, or enjoying gap years, all around the world. GIS has been offering the IB Diploma since 1999 – last year it had its best-ever score as Ben Bartlett gained 44 out of a possible 45 points. Ben is now studying at the world-famous Berklee College of Music in the USA. GIS students looked fantastic as they graduate in style. Sofia sang wonderfully at the graduation evening. Two GIS students pose on the red carpet ahead of the graduation. GIS students celebrate the end of their studies!